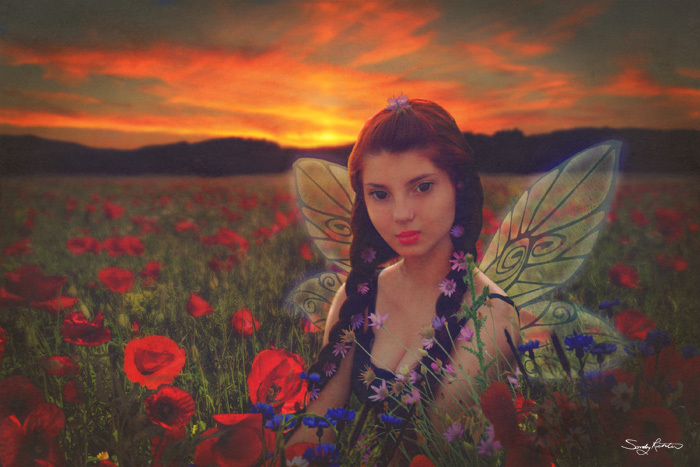 This art piece is a fantasy digital photo manipulation depicting a young fairy that has just landed in a poppy field at sunset to gather some flowers to put in her hair. My inspiration for this piece was my wish to experiment with the hues and tones of the setting sun. To create a scene that leaves the viewer feeling tranquil and at peace.